There are more nearby dwarf galaxies than we thought, and that may answer a mystery of dark matter. Although the results aren’t yet peer reviewed, they come from the Dark Energy Survey, which found several nearby dwarf galaxies earlier this year. This latest work adds 8 more candidate galaxies to that list. 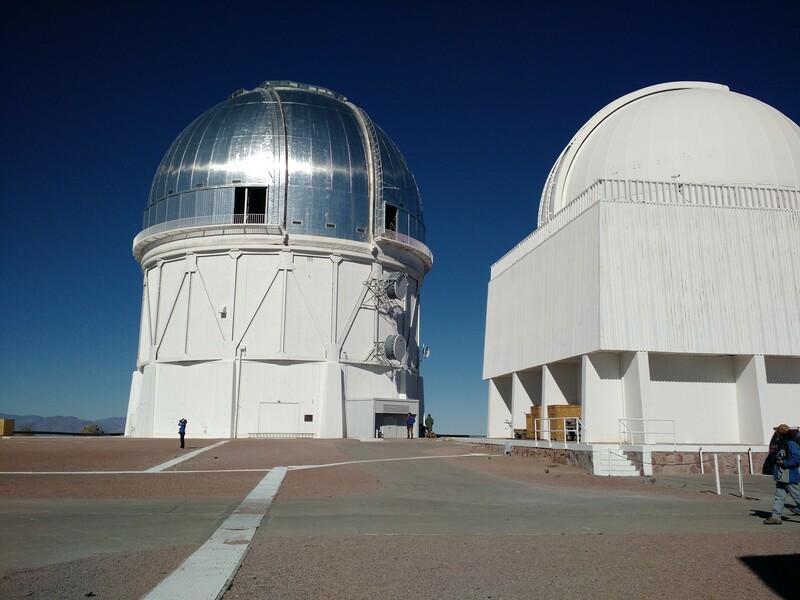 The Blanco telescope at CTIO. The Dark Energy Survey (DES) is being carried out at the Victor M. Blanco telescope in Chile, which I happened to visit this summer. As it’s name suggests, its main goal is to study dark energy, which it does by observing things such as distant type Ia supernovae and gravitational lensing. But while looking for such things, it also observes faint clusters of stars, and thus buried in its data is the evidence of these faint dwarf galaxies. Finding these kinds of faint dwarf galaxies is important, because it could help solve a mystery of dark matter. Although dark matter is a successful theory in cosmology, with lots of evidence to support it, the model does have a few weak points. One of these concerns dwarf galaxies. Specifically, dark matter models predict that a galaxy like the Milky Way should have more dwarf galaxies orbiting them than we currently observe. One proposed solution is that there are many more dwarf galaxies out there, but they are dominated by dark matter and aren’t very bright. These newly discovered galaxies would seem to agree with this idea. 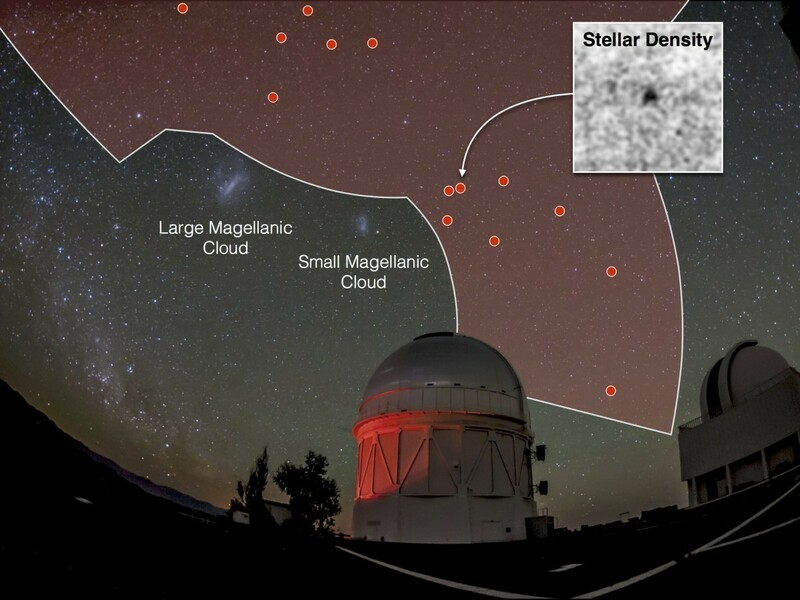 What’s interesting about these new dwarf galaxy candidates is that they seem be be clustered around the Small and Large Magellanic Clouds. This could mean that they could be satellite galaxies of the Magellanic galaxies. That’s still yet to be seen, but it is clear that our Milky Way has more dwarf galaxies hidden in the dark.